Need coconut oil?? Grab a huge 78 oz. jar of Nutiva organic, cold-pressed, unrefined, virgin coconut oil (the good stuff) for as low as $22.09 after 15% Subscribe and Save on Amazon! That’s just $.28 an ounce, which is a hot price for virgin, organic coconut oil! Or, if you’re cooking at 350+ degree temps, you’ll need refined coconut oil. 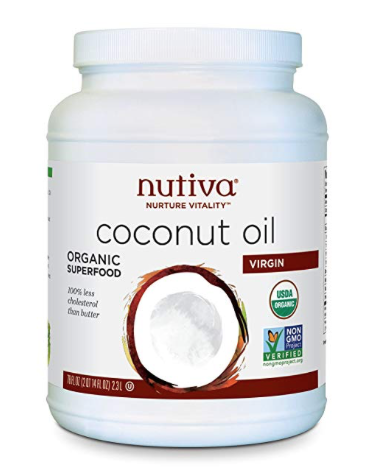 Amazon has a huge price cut on Nutiva organic refined coconut oil, as low as $15.15 after 15% S&S, so only $.19 an ounce!